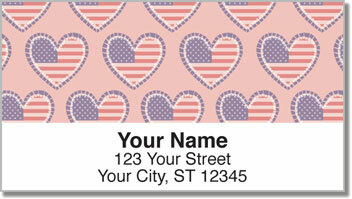 If you love America as much as we do, you'll dig the down-home goodness of these Patriotic Hearts Address Labels, exclusively from CheckAdvantage. We're suckers for this design because it combines two of our favorite symbols: the classic heart shape wrapped around the American flag. But Patriotic Hearts Address Labels aren't just for the 4th of July. 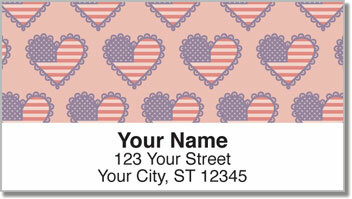 Use them to identify your return address on all your mail, no matter the time of year. The point is, patriotism like this never goes out of season! 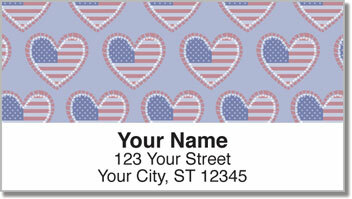 This design is also available as a set of matching personal checks; order both Patriotic Hearts personalized products today!